Chris takes a closer look at the future of print. Print in magazines. Print in advertising. Print in books.. and of course print in photography. He also discusses the dramatic drop in mirrorless camera sales despite cameras featuring the most advanced tech ever. Sep 2020: Ireland, Wild Atlantic Way. The post 862 A Million Cameras a Month appeared first on PHOTOGRAPHY TIPS FROM THE TOP FLOOR. It’s time to review some of the listeners’ greatest photos. It’s slack challenge time and Chris will look at three selected pictures that say “isolated subject”. He also presents the new Slack Challenge. Woody has a question about shooting through a mirror. The post 861 Get Out and Get Low appeared first on PHOTOGRAPHY TIPS FROM THE TOP FLOOR. Chris recently had a photo in Flickr Explore that got quite some attention. He takes a closer look at what it takes to get your photos noticed onto the prestigious Flickr Explore gallery. Al is red/green blind and he asks for tools to help him get the colors right. SPONSOR: Go to Shapr.co to learn more about shapr, download the app, and improve the way you network! The post 860 Cracking Explore appeared first on PHOTOGRAPHY TIPS FROM THE TOP FLOOR. (Repost due to a publishing issue) Chris takes you through the dangers and rewards of flying a drone on a moving platform in the ocean, aka, a ship. Joe wants to know how reciprocity failure will influence his pinhole photography and Chris explains what it is and how it is linked to exposure time. The post 859 Drone Ship (Repost) appeared first on PHOTOGRAPHY TIPS FROM THE TOP FLOOR. Chris takes you through the dangers and rewards of flying a drone on a moving platform in the ocean, aka, a ship. Joe wants to know how reciprocity failure will influence his pinhole photography and Chris explains what it is and how it is linked to exposure time. 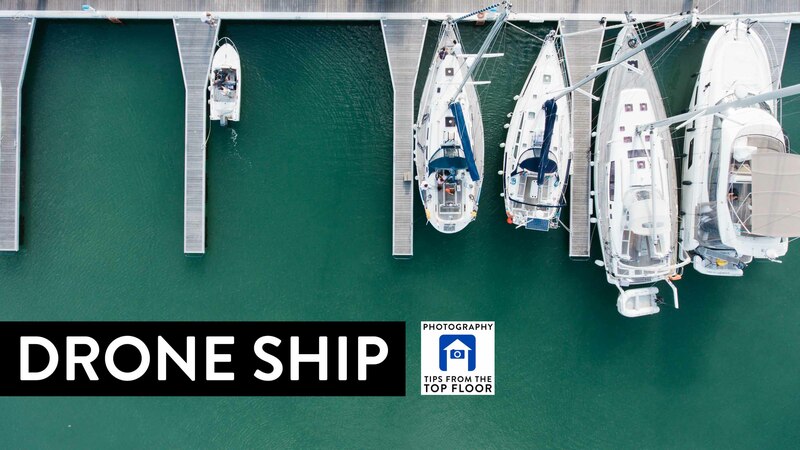 The post 859 Drone Ship appeared first on PHOTOGRAPHY TIPS FROM THE TOP FLOOR. Chris looks at what extreme limitation can do to your photography and why it works at all. Chuck wants to know how to prepare for an extreme Himalayan winter journey.. and Chris talks about how a big walk-in freezer might be all that’s needed. The post 858 Limits appeared first on PHOTOGRAPHY TIPS FROM THE TOP FLOOR. Chris takes you above the Arctic Circle trying to shoot the Northern Lights on a moving ship. Also Wilson wants to move his photos to a different disk and Tom is trying to take pictures of his black dog. The post 857 One Second appeared first on PHOTOGRAPHY TIPS FROM THE TOP FLOOR. Chris is on the MS Togo, a comfortable expedition vessel in the Arctic, where he takes a group of 12 photographers to the Lofoten archipelago. They use the perpetual golden hour of this time of the year to chase photos of birds, whales, stunning landscapes and the most amazing fjords. The title photo of this episode shows the MS Togo in the famous Trollfjord. Please fill out the survey to help Chris learn more about the audience and get the chance to win a $100 Amazon gift card. Join Chris on a photo tour! The post 856 Togo Talk appeared first on PHOTOGRAPHY TIPS FROM THE TOP FLOOR. The post 855 Demolition World appeared first on PHOTOGRAPHY TIPS FROM THE TOP FLOOR.